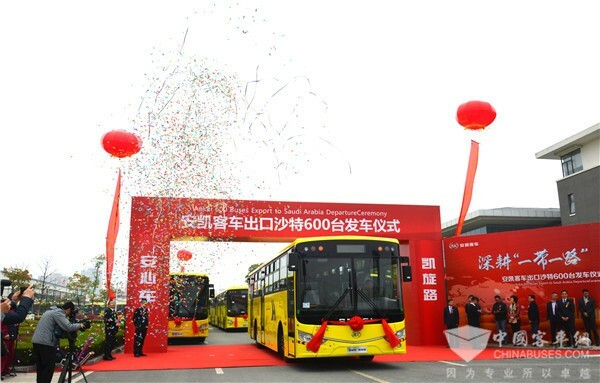 On April 10, a grand ceremony was held at the production base of Ankai to mark the delivery of 600 units Ankai buses to their customer from Saudi Arabia. For three consecutive years, Ankai successfully pocketed the biggest bus order from the overseas customers. Located in the Gulf Region, Saudi Arabia has an eight-month summer every year with the highest temperature reaching 56℃. Due the demanding working environment, it has set very stringent demands for buses and coaches. All the 600 units Ankai buses ready for shipping this year measure 12 meters in length and adopt monocoque body structures. With three doors and 3+2 seat layout, these vehicles boast higher loading capacity and provide more travel comforts and convenience for passengers. In 2017 and 2018, Ankai exported 600 units and 800 units A9 luxury coaches to its customers in Saudi Arabia, making a huge splash in the global bus market. For three consecutive years since 2017, Ankai’s total annual export volume has exceeded 2,000 units. Ankai officially entered Saudi Arabia in 2007 and established cooperative ties with Saudi Arabia Phil Transportation Corporation, the largest carrier in the country in 2011. So far, it has delivered 3,000 units school buses to the company. 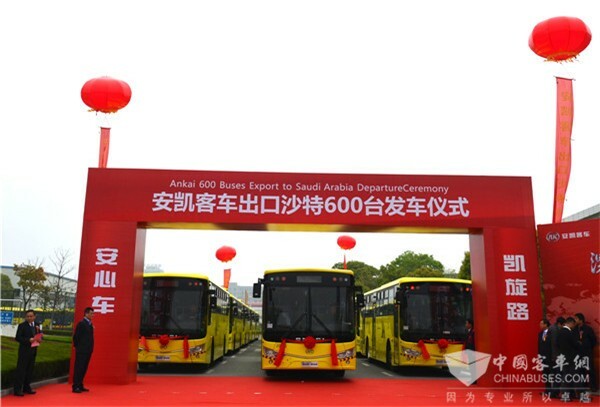 In addition, the number of Ankai buses in operation in Saudi Arabia is approaching 7,000 units now, making Ankai the biggest bus brand in the local market. Currently, Ankai city buses, school buses, travel coaches can be easily spotted in Saudi Arabia. With its formidable presence and its constantly expanding after-sales service networks, Ankai is set to further strengthen its competitiveness in the global market. Fully committed to internationalizing its brand, Ankai has already obtained ADR certificate from Australia, GCC certificate from the Gulf Region, DOT certificate from the USA, e/E-mark certificate from the EU, GOST certificate from Russia. 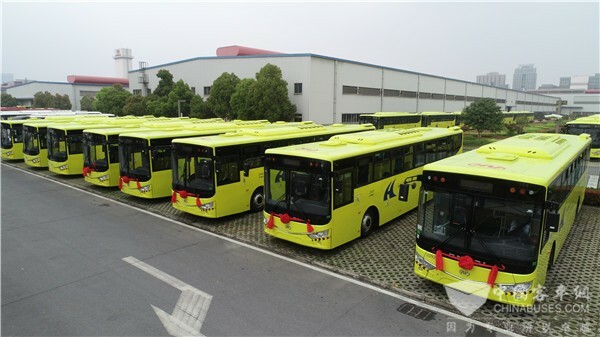 Moreover, Ankai has established a well-connected sales network across the globe and exported its buses and coaches to nearly 100 countries and regions.